Chanteur et saxophoniste US né le 17 Août 1927 à New Orleans (Louisiane). Sam Butera est décédé le 3 Juin 2009 à Las Vegas (Nevada). 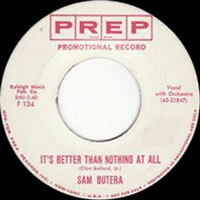 Sam Butera spent much of his career leading Louis Prima's band, but his career continued long after Prima's death, coming to include sounds and styles far beyond Prima's brand of New Orleans jazz. 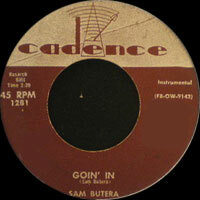 A rock, R&B, and jazz legend, Butera is a towering crossover figure at the saxophone and as a bandleader. He was born in New Orleans to Italian-American parents. His father Joseph owned a butcher shop in a black section of the city, and played the guitar and the concertina in his spare time. At a wedding he was taken to at age seven, Sam Butera first saw and heard a saxophone, and, with his father's blessings, asked to take lessons. He studied the clarinet at school but eventually returned to the sax, and at age 18 was featured in Look magazine (Life's major competitor) as one of the top young jazzmen in the country. He got a gig with Ray MicKinley right out of high school, and also played with the bands of Tommy Dorsey and Joe Reichman. His major influences in those years included Charlie Ventura, Lester Young, Gene Ammons, Charlie Parker, and Big Jay McNeely; he seemed to gravitate naturally to swing and bebop. Ultimately, however, the biggest influence on his playing was Lee Allen, a member of Paul Gayten's band, with which he frequently played. Butera formed his own group — inspired by Gayten's band — after returning to New Orleans, and they quickly began a four-year engagement at the 500 Club, which was owned by Louis Prima's brother. 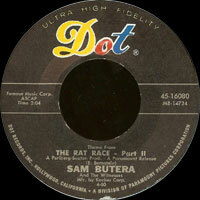 His sound reflected a vast range of influences, including modern jazz and R&B, and in 1951 Butera cut a pair of raunchy R&B instrumental sides that might have figured in the early history of white rock & roll if only they'd gotten out at the time. 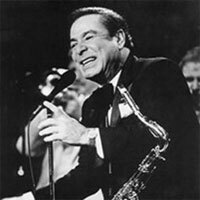 He also had a featured spot in a Woody Herman concert that yielded both a chance for a new tour and a recording contract with RCA. 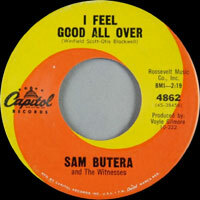 The resulting sessions in the fall of 1953 gave Butera a chance to rock out in an alternately soft and sweet, or hard and playful manner. 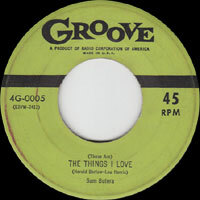 There weren't any significant sales, but RCA had him back in early 1954 for a series of sessions of its R&B-oriented Groove label (home of Piano Red, amongst others), and his version of "I Don't Want to Set the World on Fire" was a modest regional hit. He played some R&B shows, including a celebrated tour as part of Alan Freed's first East Coast rock & roll showcase, and Butera's loud, wild sax sound won him an enthusiastic following. By 1955, however, he was back doing jazz with Ella Fitzgerald and Louie Bellson. He finally hooked up with Louis Prima and spent the next 20 years leading his band, the Witnesses. 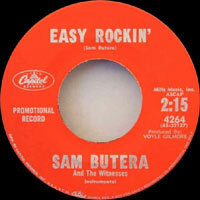 Butera's own record releases were cut short, with only a handful of his Groove sides (including a Vocals performance, "Giddyap Baby") ever issued at the time. Butera achieved financial security over the next 20 years working for Prima, and only then, in the mid-'70s, began re-emerging as a performer in his own right. 1957 SP CAPITOL F3820 (US) . Louis PRIMA with Sam BUTERA & The WITNESSES - Autumn Leaves (with Keely SMITH) / ? 1957 SP PREP F102 (US) . 1958 SP CAPITOL F4063 (US) . 02/1961 SP DOT 16192 (US) . 1963 SP PRIMA P-1000 (US) . 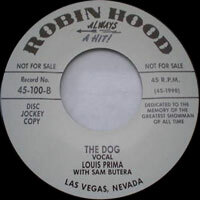 Louis PRIMA & Gia MAIONE with Sam BUTERA & The WITNESSES - Direct From Las Vegas - Solitude / Las Vegas Woman / Hello ! Lover! 1973 SP PRIMA P-22206 (US) . 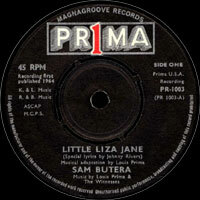 Louis PRIMA with Sam BUTERA & The WITNESSES - Judy / ?